This is very useful and worth buy but today it’s free so just grab it now. 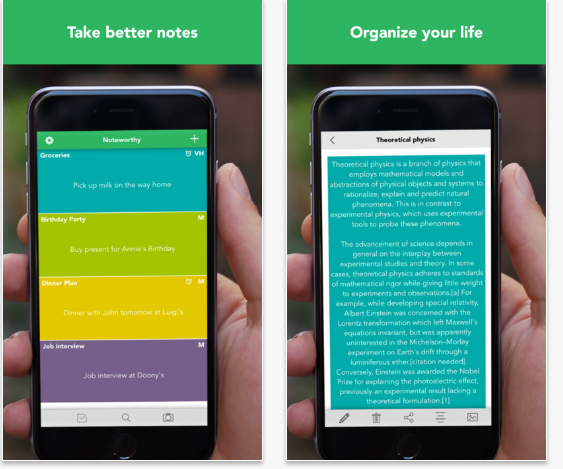 Take UNLIMITED notes with a unique and accurate way. No more boring notes. Notes, reminders, lists, memos, tasks, phone numbers, mails, buckets, projects, ideas or anything else you can think of. Sync all your notes on all your devices automatically. You don’t have to do any setup!!! Need to set a reminder for your note? Noteworthy notifies you, so you’ll never miss an important event again!!! Start your app your own app business easily follow This Easy steps and get into business.